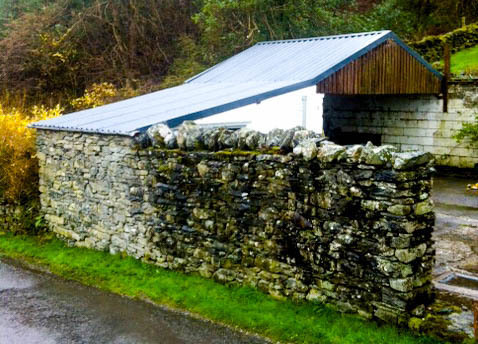 GRP were contracted to demolish the old turnstile building and replace it with a brand new one. 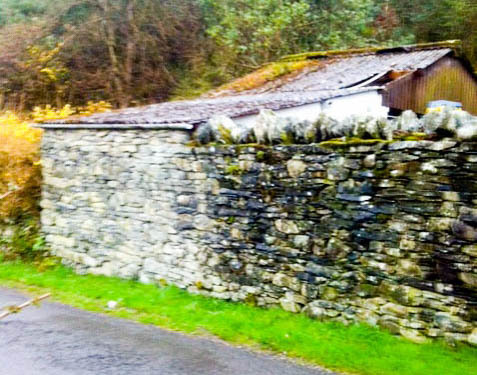 The old building was timber which was in a poor state of repair. 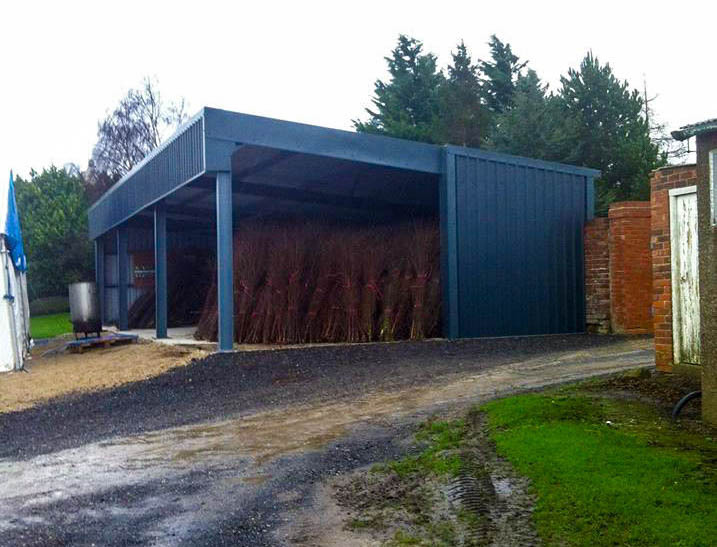 The new building was constructed with a timber frame and clad with Cedral Weatherboard. The whole project took 2 weeks to complete. Following a fire in the previous hurdle shed GRP were tasked with clearing up the debris and erecting another portal frame building. 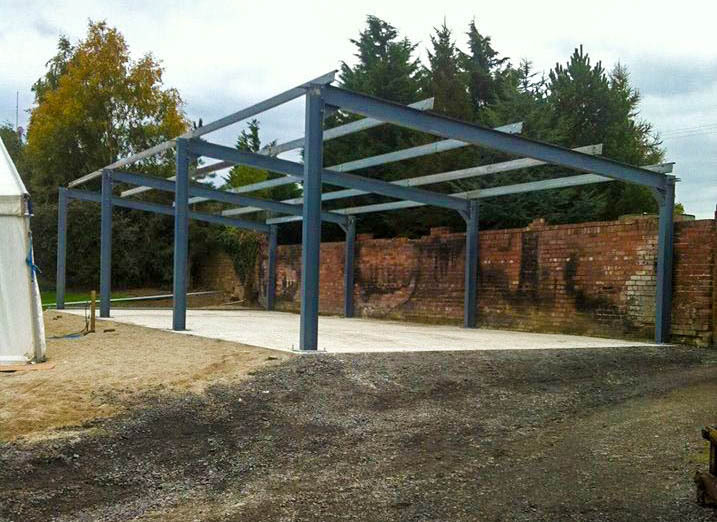 A second hand frame was used which had been recycled from a previous job. 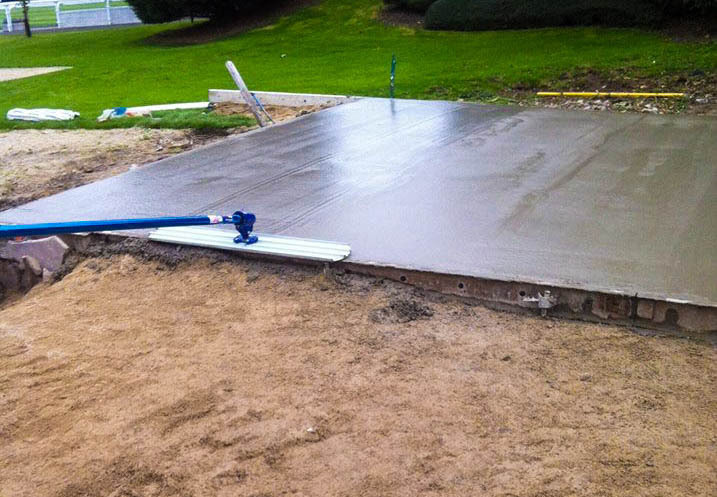 A new concrete floor slab was put in place before erecting the frame. 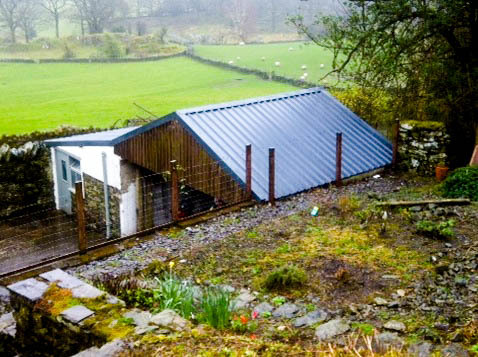 The frame was then clad with new box profile sheets on the roof and sides. The contract was completed between race meetings to avoid disruption. Due to the poor condition of the cement asbestos GRP asked to remove the roof and replace it with box profile roof sheets. 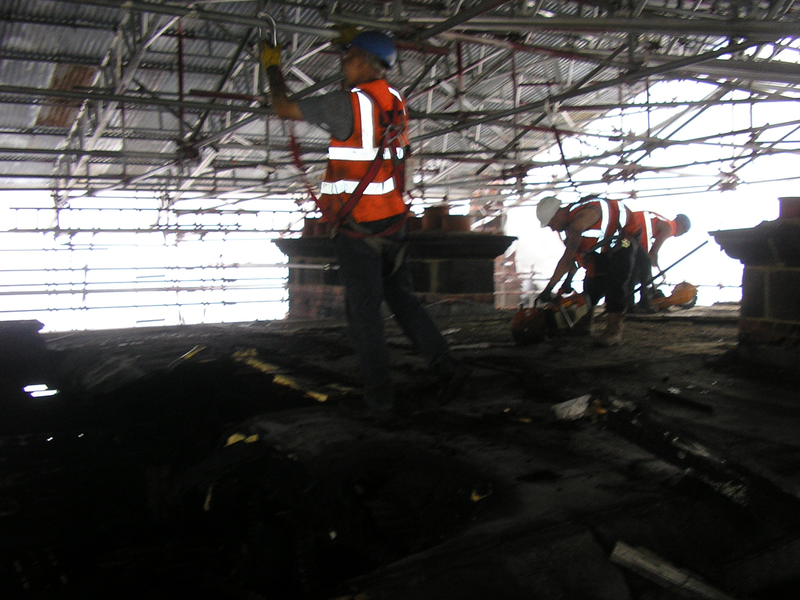 The structural roof timbers were checked before the new roof sheets were fitted. 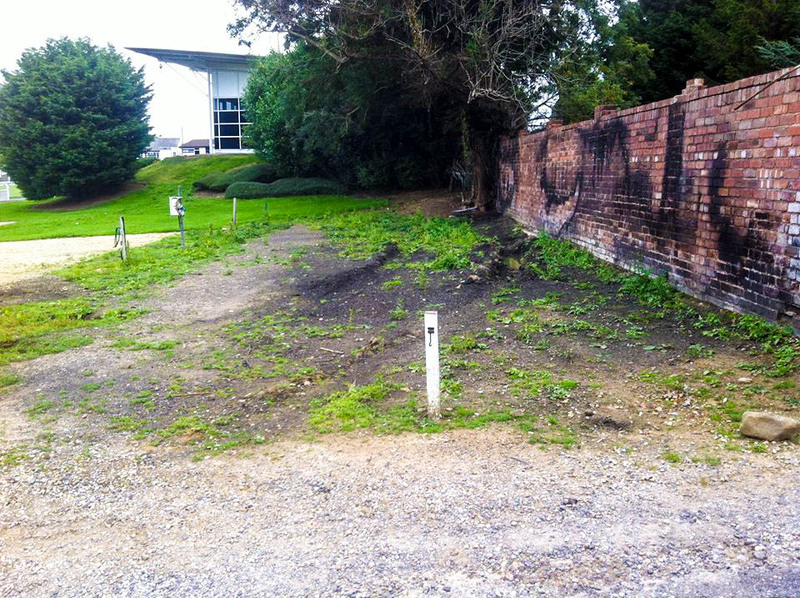 The works were completed within a day causing very little disruption to the client. 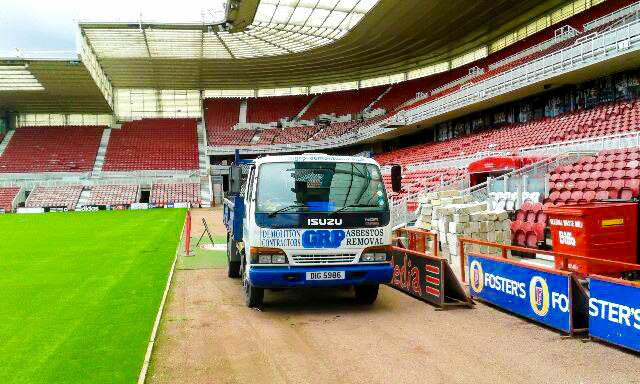 GRP were contracted by Wharton Construction to carry out the strip out works ready for the refurbishment of the new changing rooms. GRP completed the works within the 2 day timescale to make sure Wharton Construction could complete the works on time. 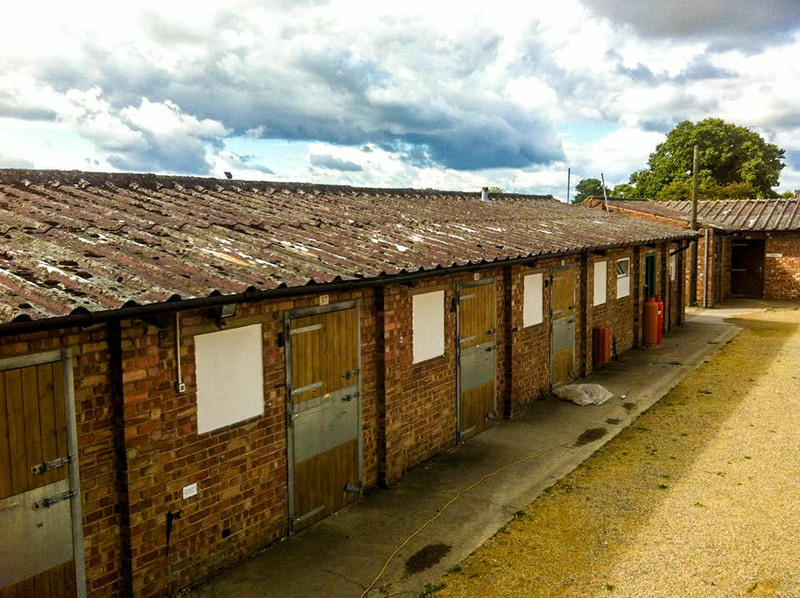 GRP were tasked with the asbestos removal and re-roofing of the stable block by Wetherby Racecourse. 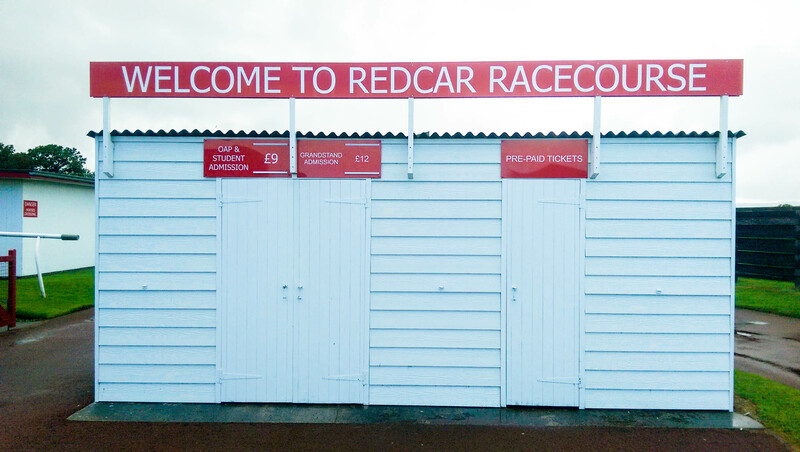 The project had to take place in a short timescale to fit in with the race meetings that the Racecourse was staging as the stables would be needed. 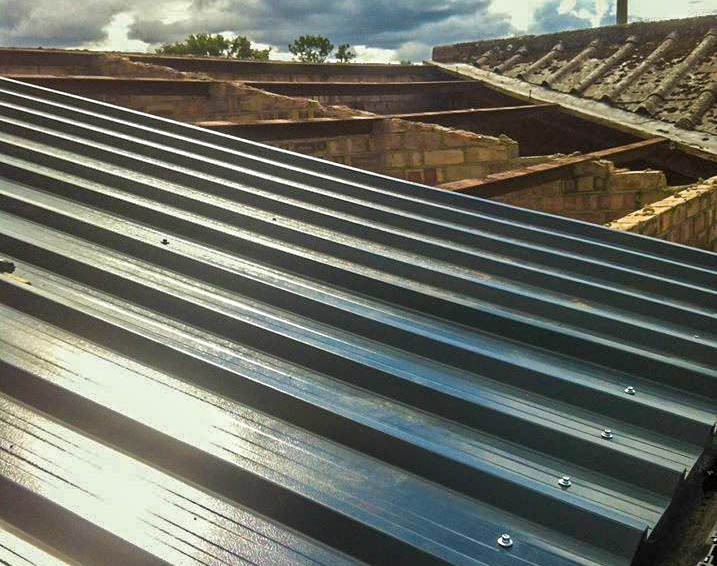 The asbestos was replaced with new box profile roof sheets and the project was completed without causing disruption. 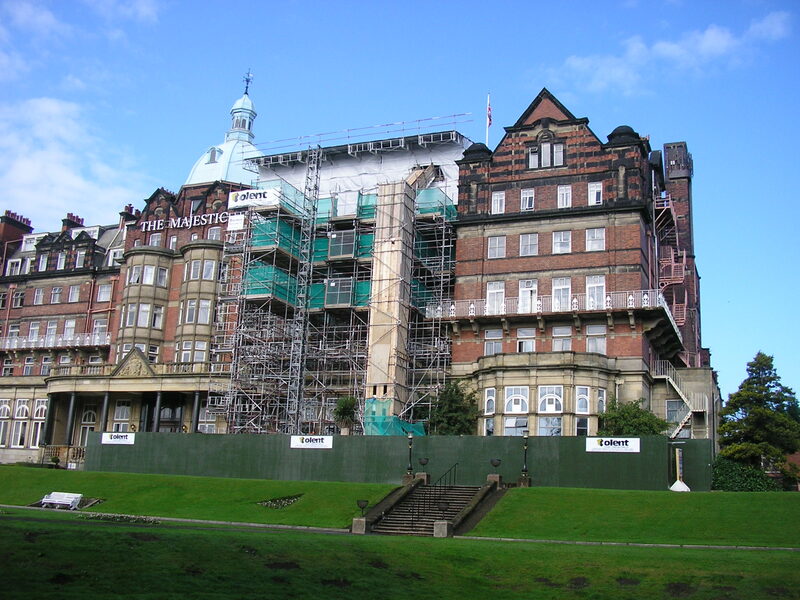 GRP worked with Tolent construction Ltd in a bid to restore the former imposing hotel back to its former glory following a devastating fire. 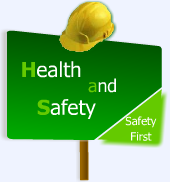 Working included asbestos removal, strip out and partial demolition works. 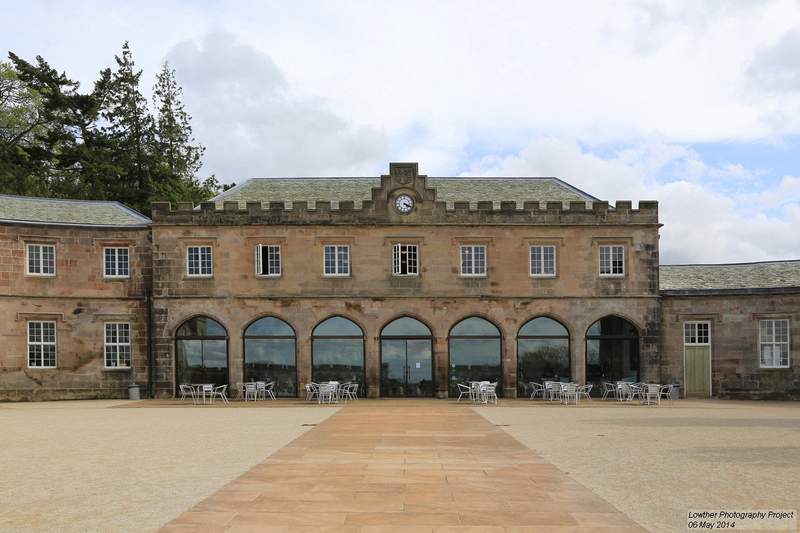 GRP worked in conjunction with Patton Construction in the careful restoration of the former Stable Block. 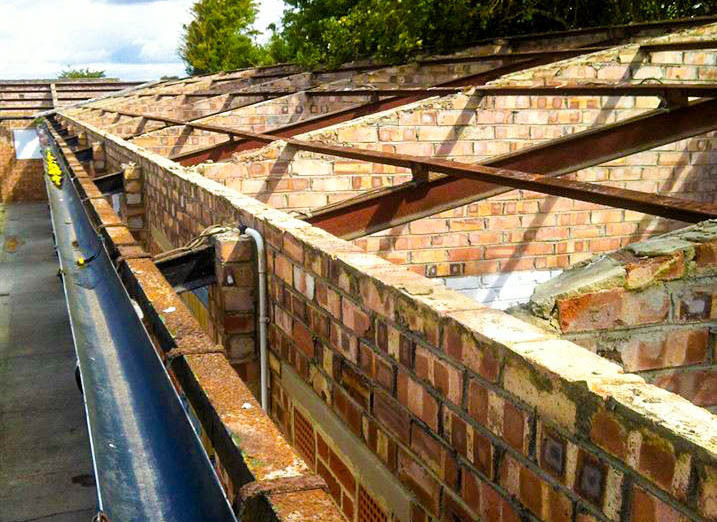 GRP undertook various types of work over a 14 month period in the form of asbestos removal, demolition, façade retention, drainage and provision of ducting and channeling for M&E installation. 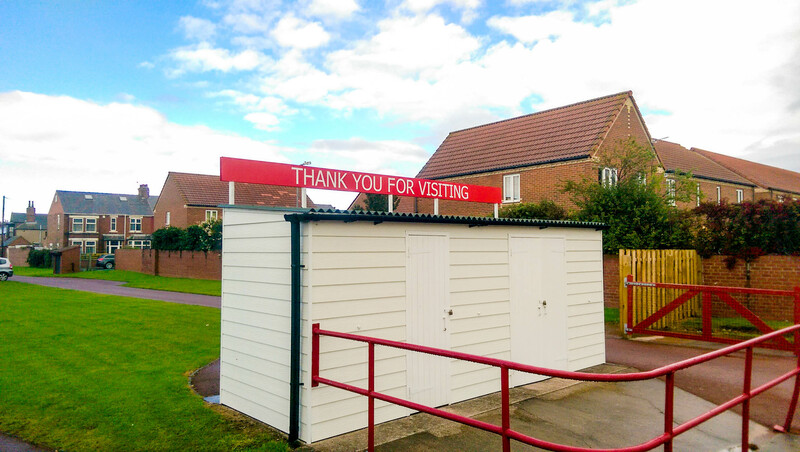 GRP was commissioned by the Wetherby Racecourse Company to refurbish the old Saddling Enclosure/Storage Shed into a welfare area, Tractor and Implement Shed. 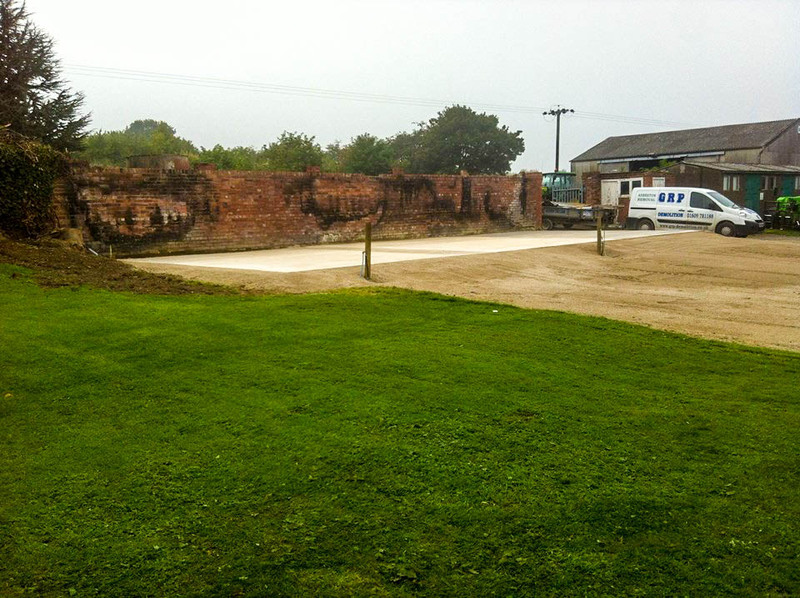 GRP demolished the old Portakabins and provided the foundations and infrastructure for the new mobile unit. 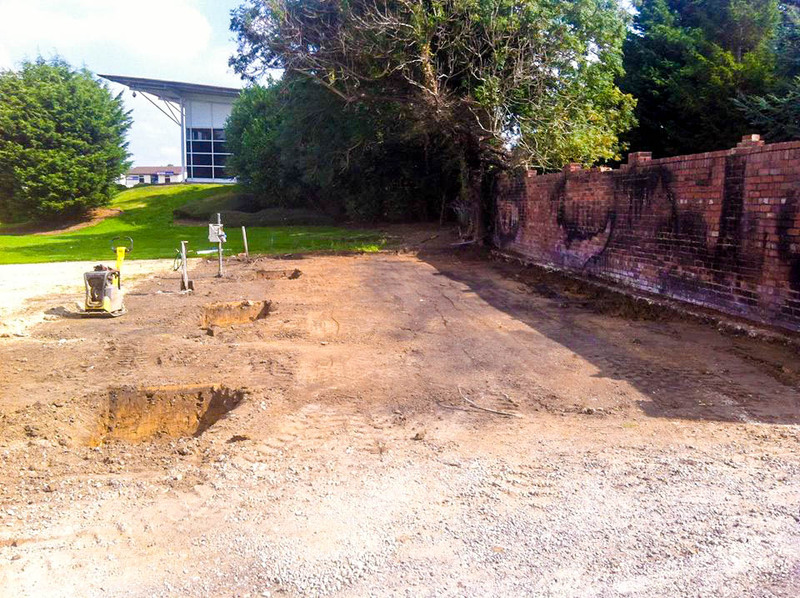 The work consisted of sub base foundations, new concrete floor, installation of internal mess room/welfare unit, refurbishing existing structural framework to facilitate new side cladding, pedestrian doors, and roller shutter doors as well as drainage works for the surface water and welfare facilities. 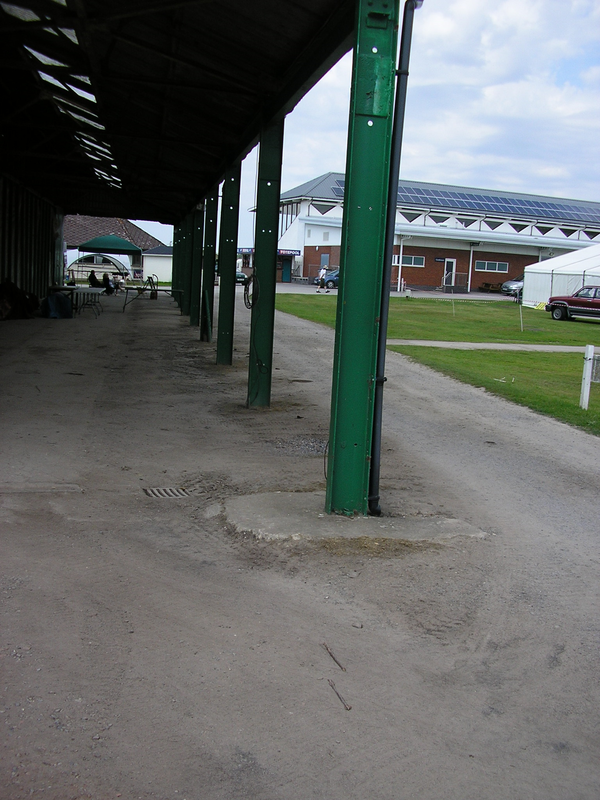 GRP was also tasked with creating a large hardstanding area for a marquee including the drainage works. GRP were tasked with removing an old corrugated cement asbestos roof as per HSE standards and replacing it with new box profile roof. 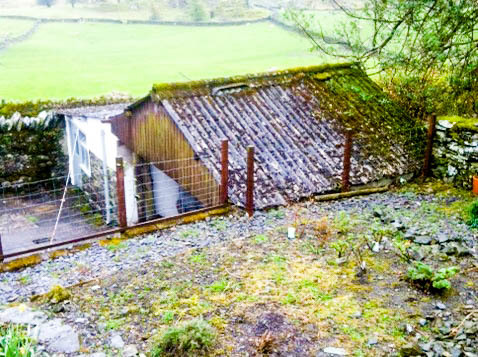 The removal of the asbestos roof and fitting of the new roof was completed within the day.